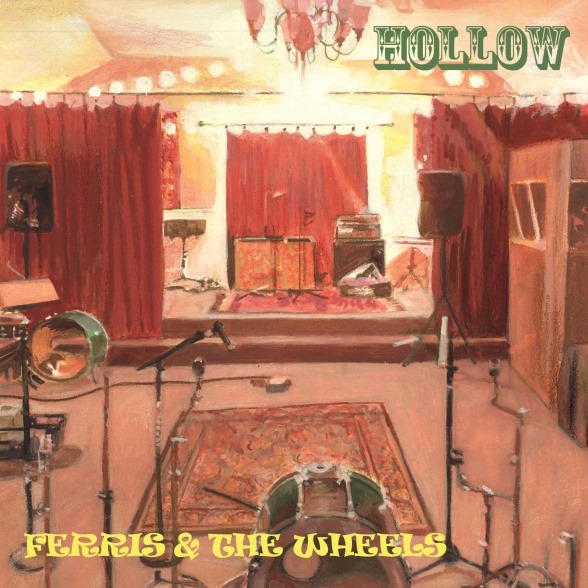 Take A Carnival Ride Of Indie Folk Grunge With Ferris & The Wheels – Debut EP ‘Hollow’ Available December 17, 2013! Debut EP ‘Hollow’ Available December 17, 2013! Nashville, TN – Hot on the heels of their new viral video, Nashville group Ferris & The Wheels will be releasing their highly anticipated debut EP ‘Hollow’ on December 17, 2013. The band’s new anti-bullying video ‘Can’t By Yourself” has been garnering attention worldwide! Described as a “carnival ride of Indie-Folk-Grunge”, Ferris & The Wheels new 5-song EP takes you on a ride of indie folk rock to hard rock, alternative grunge and progressive rock. Geoff Ferris, lead singer and songwriter, born in Bad Axe, MI, and former lead singer of the band ‘Bad Axe’, has had success in Boston and Nashville as a musician. In 2012, Ferris and drummer Patrick Gullett formed Ferris & The Wheels. As a self-proclaimed “Rock Fanatic”, Geoff has a wide range of musical tastes: classic rock, folk, progressive, grunge, alternative, pop and modern indie. His biggest influences started with oldies and Motown, but quickly moved to Bruce Springsteen, John Lennon, The Beatles, Neil Young and The Beach Boys. By the time he was 13 in 1994, Geoff was just beginning to have his mind blown by Led Zeppelin, Pink Floyd and Bob Dylan, while simultaneously being hit with the current movement of grunge and alternative rock, which included Nirvana, Soundgarden, The Offspring, Pearl Jam and STP. Along with newer rock bands like the Foo Fighters and White Stripes, he’s also influenced by some hip-hop/rap artists such as Eazy-E, Tupac, Snoop Dog, Dre, and Too Short.